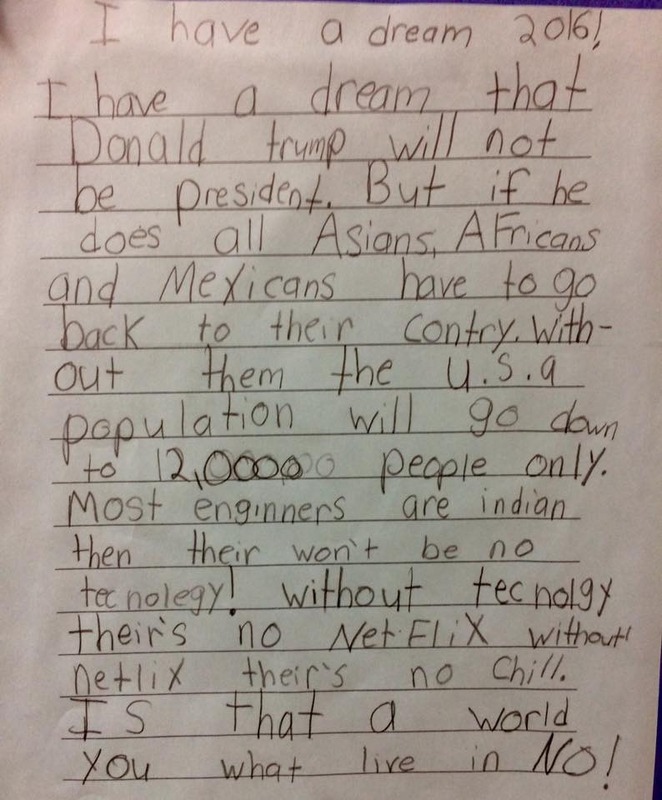 ﻿ A kid brilliantly argues there will be no Indians and Netflix in US if Donald Trump is elected, so he shouldn't be! A kid brilliantly argues there will be no Indians and Netflix in US if Donald Trump is elected, so he shouldn't be! Bayan Sabouri, an, ESL assistant teacher in Columbus, Ohio, shared the letter on Thursday with the caption "third graders should run this country."